Familiar faces on both sides of the football are what makes divisional rivalry games so compelling in the National Football League. 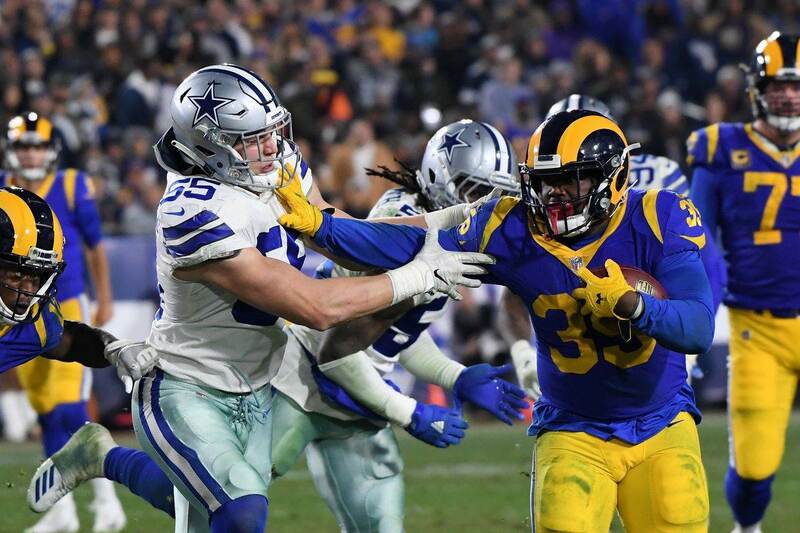 Unfortunately for the Dallas Cowboys, still searching for their first win away from AT&T Stadium this season, their match up at the Philadelphia Eagles on Sunday Night Football will feature one more opponent from earlier in the season. Making his debut for the Eagles after a trade from the Detroit Lions, Wide Receiver Golden Tate will play in his second of three meetings against the Cowboys this week. 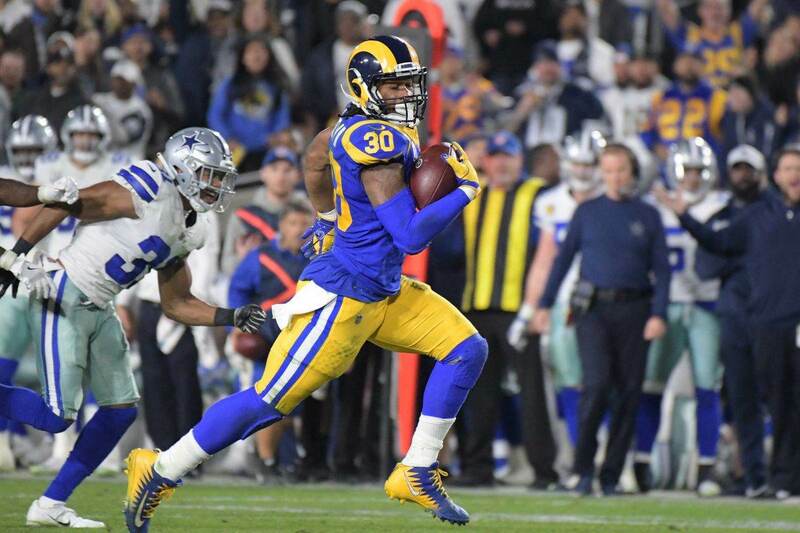 Tate caught all eight of his targets in week four at the Cowboys, scoring touchdowns of 38 and 45 yards to finish with a season high 132 yards. Joining the Eagles during their bye week, Tate comes into Sunday with the luxury of time spent with his new teammates - all of which should be motivated to play a reeling Cowboys team. Thanks to the addition of Passing Game Coordinator Kris Richard and an infusion of young talent on defense, the Cowboys have stood tall allowing just 18.9 points per game through nine weeks. 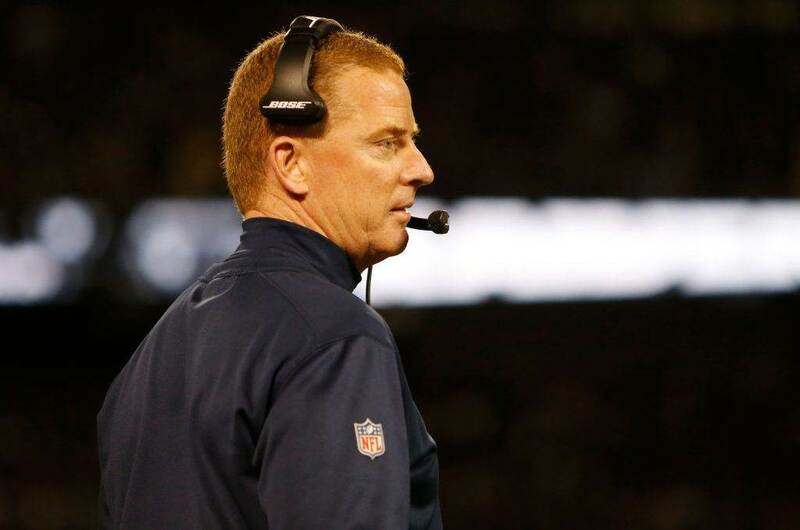 Their efforts have been enough to give a sputtering Cowboys offense a chance each week. 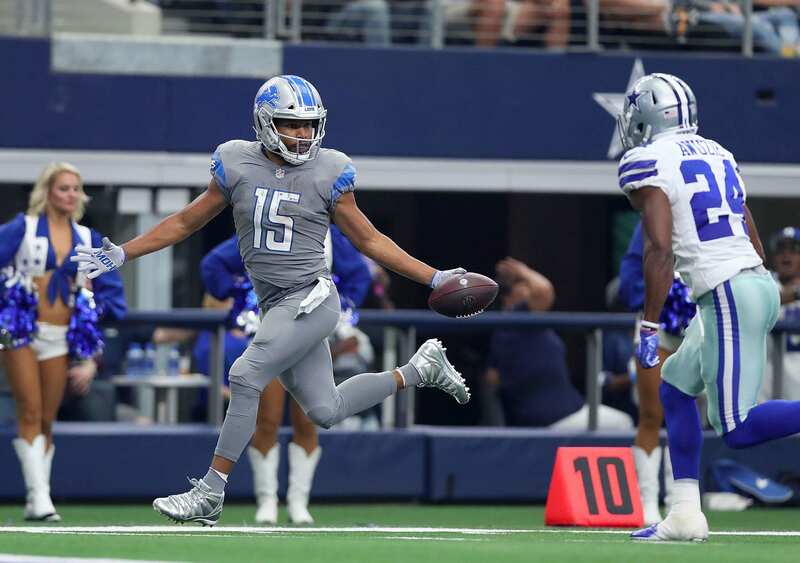 To ensure this remains the case on a short week leading up to another prime time game, the Cowboys must have a better plan in place to stop Golden Tate. Here's a look at how he was able to hit on big plays against Dallas once already. With Tate's other six catches only going for 49 yards, the Cowboys fared pretty well against the former Seattle Seahawk when he was kept out of the end zone. This had to be the only thing on Cornerback Jourdan Lewis' mind when he asked to come off the bench cold and guard Tate with one of his few opportunities this season. Unfortunately for Lewis (bottom of the screen), he gets caught trying to cut off Tate too early following his break off the combination route. Matt Stafford does a fantastic job throwing this pass with anticipation, knowing that Tate was not only creating separation to the sideline but coming back to the football to create an easier throw. Lewis offers no challenge to Tate at the catch point before losing his balance and allowing Tate to turn this play up the sideline. With only Jeff Heath to beat, Tate finishes the play with six points for the Lions. Heath did make a great open-field play on Tate earlier in this game. Lined up in the box before the snap, Heath is responsible for Tate as he motions across the field, and managed to drop him after the catch for a loss of three yards. Both the Lions and Eagles put an emphasis on quick throws. Stafford and Carson Wentz share just a 0.01 second difference in average time to throw this season. Where the Lions are looking to attack vertically, the Eagles will gladly take underneath throws against the Cowboys all night, further demanding a change in approach from the Cowboys defense. Giving Tate the same cushions he saw back in week four is inviting nothing but pitch-and-catch throws from his new quarterback. Hardly the only weapon in a versatile Eagles offense, the Cowboys are in for another long game if Tate gets going with the ball in his hands. Tate's ability to make contested plays is on full display here. Notice where he is (top of the screen) at the time Stafford rips this pass from entirely too clean of a pocket for the Cowboys front four. Xavier Woods, forced to pickup Tate as he motioned out of the backfield, is actually in good position to contest the play if he locates the ball. Instead, it's Tate that knows exactly where this pass is leading him, extending away from Woods and dragging Cowboys defenders up the field for a huge gain. This last play had the makings of a game-winning score from Tate, if not for the Cowboys responding with a field goal drive. Expecting help over the top, Cornerback Anthony Brown allows Tate to run free on the double move, uncovering as Chidobe Awuzie ran inside despite Kavon Frazier being on top of that route. Stafford throws one of the easiest touchdowns of his career, with nobody near Tate as he drifts in for another score. Again, this play may not have cost the Cowboys a win against the Lions, but it's hard to imagine such an error not costing them more against the defending Super Bowl champions on the road. The Cowboys have their backs to the wall and have been counted out by just about everybody in an NFC East that seems destined to play out until the final week of the season. A fair criticism of the Cowboys has been their lack of aggressiveness when constructing the roster, a clash against the bold strategy deployed by the Eagles. This week, this narrative isn't exactly true, as the Cowboys come to Philadelphia with a new wide receiver of their own. Debuting with a touchdown on Monday night, Amari Cooper can only hope the Cowboys stay in this game long enough for him to make a big play, something the Cowboys surely know Eagles WR Golden Tate is capable of at any time. Slowing Tate down won't be as simple as shadowing him with one of the best corners in the league this year in Byron Jones either. The Cowboys must have an answer for Alshon Jefferey, Nelson Agholor, and Tight End Zach Ertz in addition to Tate. I'd fully expect the Eagles to spread the Cowboys out in an effort to run the ball with the same misdirection that the Tennessee Titans used to smash this defense four days ago. The Cowboys safeties must bring the same technique they did against the Lions in coming up for big stops, as Richard will put all of the trust needed in his cornerbacks to win their match ups in man coverage. Tell us what you think about "Sean’s Scout: Cowboys Must Have Better Plan for Golden Tate in Eagles Debut" in the comments below. You can also email me at Sean.Martin@InsideTheStar.com, or Tweet to me at @SeanMartinNFL!